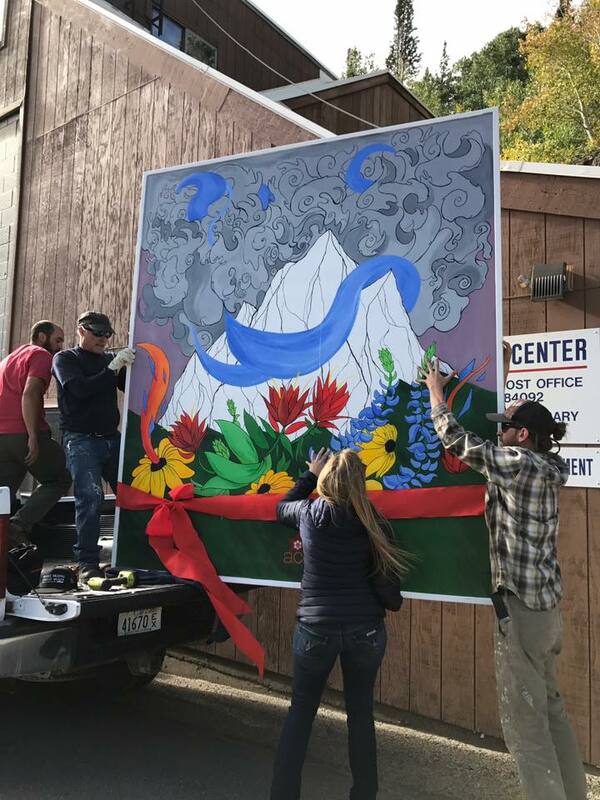 The summer of 2017, ACE sought out Salt Lake County artists to create site-specific outdoor mural art on the Alta Community Center in Alta, Utah. We are hoping this piece of public art provides excitement and interest for the community. Graham is a transplant from Ohio and has been skiing the Cottonwoods for 9 years. 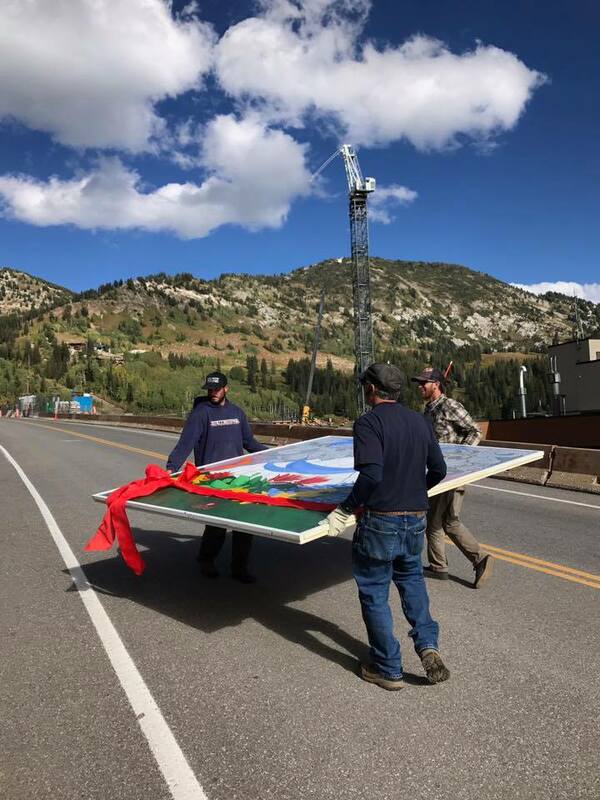 The mountains are his artistic muse and Little Cottonwood is his playground. My art has always influenced by the natural world and the colorful beings that inhabit it. 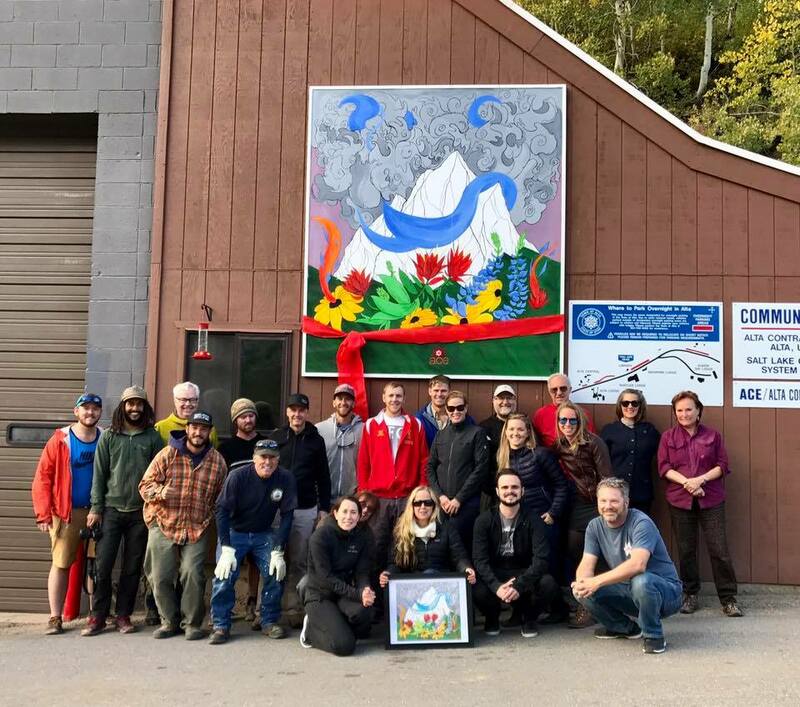 My art parallels my activity with environmental non profits and my desire to make the world a greener place, while also being influenced by eastern spirituality and some psychedelic aspects as well. 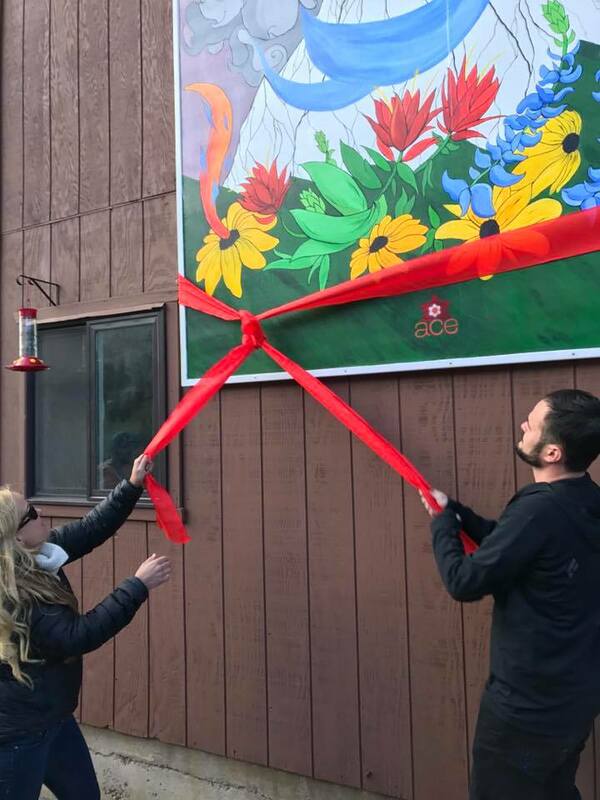 The mural is painted on a wood canvas constructed and erected on to the Alta Community Center building, located at 10351 East Highway 210, Alta, Utah. 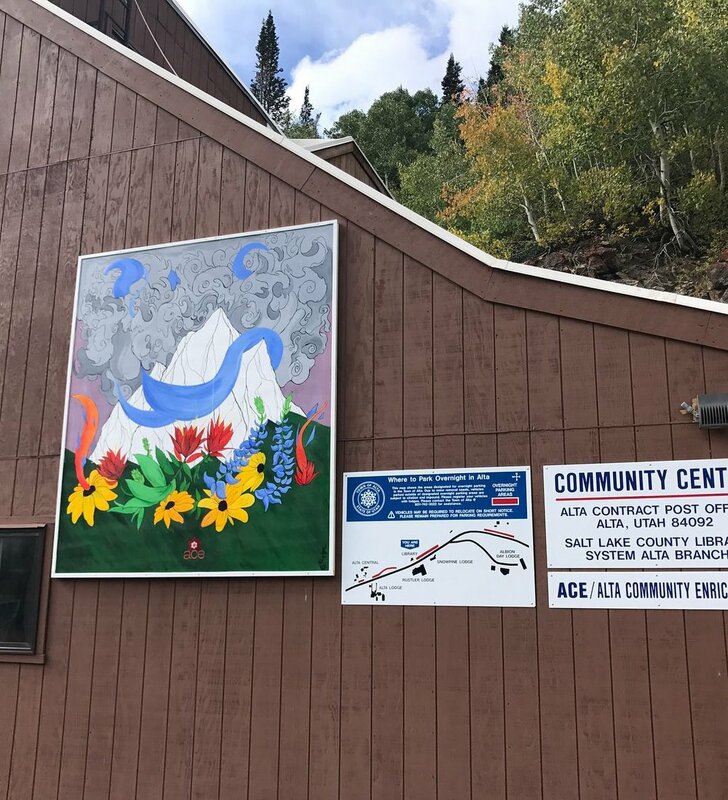 The community center is a multiuse building and encompasses the Alta post office, library, ACE offices, Town of Alta (TOA) meeting room, avalanche classes, housing for police officers, and garage for UDOT and TOA highway needs. Alta town residents and the many visitors to Alta view the building daily.